243 pages/Seiten; 27.5/21.5 cm; Paperback: AN OZARK FAMILY ALBUM - Incorporates the JIMMIE DRIFTWOOD STORY, the SPRING FESTIVAL PARADE and many more beautifully photographed Ozark get-togethers of folk and country musicians. Fotobuch über Folk- und Country Musik in den Ozarks. Ein Besuch bei Jimmie Driftwood ist ebenso dabei wie die beeindruckenden großformatigen Fotos der Spring Festival Parade. 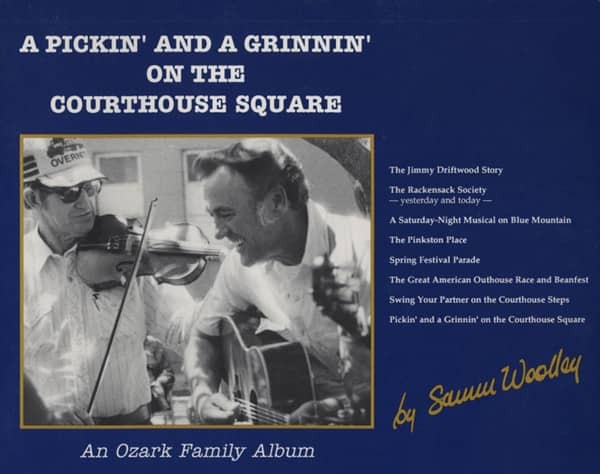 Customer evaluation for "Coombs, Samm Woolley - A Pickin' And A Grinnin' On The Courthouse Square - Jimmy Driftwood Story"